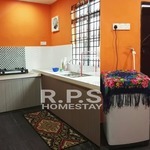 RPS Homestay Muslim Kedah is a double storey terrace house located at Sungai Petani Kedah. The house is fully furnished. 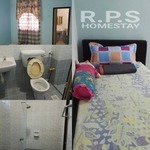 The homestay 4 bedrooms with 4 bathrooms. 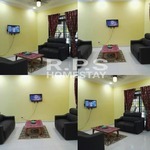 Comfortable place to stay for small family up to 12 pax. Car park space for two car. 8 minit ke The Carnival (Water Park). 5 minit ke Hospital Sultan Abdul Halim. 18 minit ke Hospital METRO. Berdekatan dengan kawasan memancing laguna merbok. 5 minit Pasaraya ECONSAVE dan TESCO. 625, Lorong Kuda Kepang 1, Taman Ria Jaya, 08000 Sungai Petani, Kedah Darul Aman. 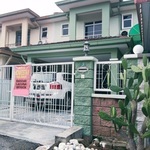 17, Laman Cindai 4A, Taman Cindai Jaya, 08000 Sungai Petani, Kedah.